The aim of our Primary Program is to intellectually stimulate and personally support each student in developing a life-long love of learning. The broad and balanced curriculum has depth and breadth that reflect the complexities of today’s world. Within the curriculum structure, there is flexibility to focus on each individual. The Primary Years build solid foundations for later learning with an emphasis on mastery of basic skills of literacy, numeracy and scientific knowledge, as well as developing cultural understanding, problem solving and personal and interpersonal skills. Particular interest is placed upon students achieving high standard in literacy and numeracy, thereby establishing skills essential for success in all areas of learning. Our students are given opportunity to learn 3 languages and language learning is fostered through a broad and challenging core curriculum, where students are given the chance to strive for their personal best. Our language curriculum in English, Mandarin and Thai are well-regarded for their breadth, as well as depth, and are aimed at developing competent speaking, reading and writing skills in our primary students. Our innovative languge curriculum helps students to engage imaginatively and critically with literature in order to expand the scope of their experience. 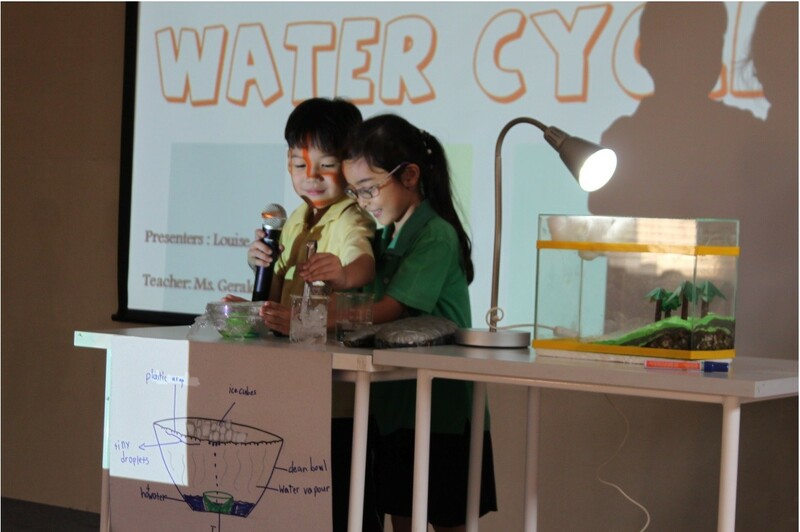 This world-recognised program offers our students an inquiry-led curriculum that is engaging, dynamic and challenging. Underpinned by Australian Curriculum standards, our students actively build on their knowledge and understanding of the world around them. In taking increasing responsibility for their learning, they develop all the attributes that will lead them on to success in Secondary School. We work collaboratively to build on our students' potential in this area, while giving them opportunities to work collaboratively in various projects and presentations to help expand their horizons beyond just the classroom. The primary curriculum builds a solid foundation in Mathematics and the Sciences in our students. Adopting Singapore's Mathematics and Science curriculum, we recognise the importance of a solid understanding of numeracy and the sciences, and our curriculum facilitates each student's acquisition of these fundamental skills. Our students' learning is enhanced by stimulating hands-on mathematics manipulatives, games and laboratory experiments, through our well-balanced curriculum. Critical and Creative Thinking is integrated in English, Mathematics, Science, Studies of Society and Environment and Technology. Extensions are made with the discussion of these subjects which will enhance students’ critical and creative ability. Values education also forms a vital part of our primary program where we try to "live" our mission statement and convey Christian values of courtesy, honesty, consideration, cooperation, and acceptance of others. Here are the details of our primary key learning areas.